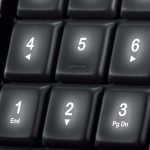 Is your computer keyboard old, cheap, with a switch technology that doesn’t provide a positive response? Loose it! It’s time to upgrade and join the big leagues with a quality mechanical-switch keyboard. A “Tenkeyless” is a standard keyboard that doesn’t feature a number pad. Tenkeyless mechanical keyboards come in compact sizes making them portable as you can quickly put them in your bag pack, or handbag when going to a tournament or a LAN party. They are mostly used in eSports and by professional gamers due to their longer lifespan compared to dome-switch keyboards and membrane. Better still, they allow you to remove and replace keycaps. The mechanical keyboards also feature three variants which include linear for consistent resistance, and two tactile, one for an audible click and the other for a non-audible bump. The tenkeyless mechanical keyboard is a bit expensive than the full-size counterparts but comes with high-tech features making it worth the money. We believe by now you have already considered upgrading your gaming with a Tenkeyless mechanical keyboard. Below is a list of the best Tenkeyless mechanical keyboards we have thoroughly reviewed to make your search a breeze. Elevate your gaming like a pro with MasterKeys Pro S RGB gaming keyboard. Choose precision, accuracy, and performance with no style-over-substance “fluff” and flashy lights. 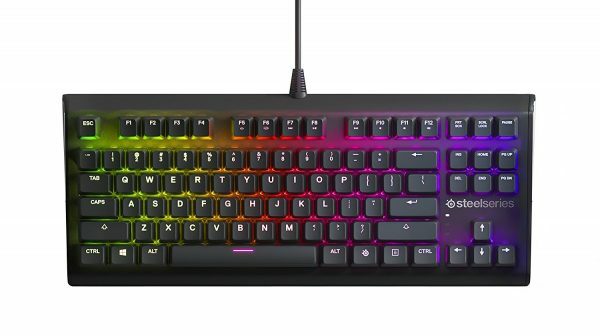 The Pro S RGB keyboard from Cooler Master features a no-nonsense look with a sturdy plastic material making it reasonably heavy but mostly reliable. The Tenkeyless mechanical keyboard offers you dependable typing services that don’t flex or exhibit any bow. The master keys keyboard has a sleek layout and a durable case which is perfect for gaming. MasterKeys Pros S RGB is built for Pros, not for joes. Just as the name suggests, the cooler master is hassle-free software, No gimmicks. It’s a simple and straightforward mechanical keyboard featuring solid Cherry MX switches under all single keys on the Pro S boards. The switches are responsive, quick and not tiring when gaming. The plastic housing on the master keys board allow the RGB LED to shine through and the white base-plate underneath the boards’ switches reflects the light from the LEDs and diffuses the glow enabling to enjoy gaming without being distracted by flashing logos and bright lights. The master keys Pro S provides you with accuracy and unmatched performance with no rage quits, loading or lag thanks to the ARM Cortex processor. Better still, you can save and execute macros and commands in a snap thanks to the on-the-fly system which allows you to beat your opponent every time. With the white series and a combination of rollover technologies in the MasterKeys mechanical keyboard, you will have accurate, efficient and anti-ghosting gaming experience. 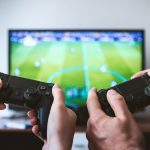 The N-key and 6-key rollover help detect every single key press and no matter how furious and fast the game get you can rest easy knowing the keyboard can handle it. Apex M750 from Steel Series is another tenkeyless mechanical gaming keyboard on our list we recommend. The keyboard is compact and portable. Apex M750 10-keyless gaming keyboard is compact allowing you to carry it anywhere you go. The keyboard boasts a QX2 mechanical switch that delivers faster game-play with straight actuation point and low force. The QX2 switches feature tactile response for natural movements without missing valuable keystrokes. The real-time discord chat notification helps light up your gaming keyboard as well as show you mute status and new messages. The per-key RGB lighting also helps to light up your keyboard. Better still, you can experience multi-color lighting effects and have the power level-up your desktop computer setup thanks to the PrismSync lighting gear. Apex M750 gaming also has steel series engine software that allows customizing your macros, keys, and profiling for advanced gameplay. 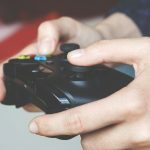 The keyboard also features game sense that delivers tactile alerts, OLED messages and reactive illumination responds to purpose-built applications and in-game events like ammo, kills, cooldown timers, health, and money. 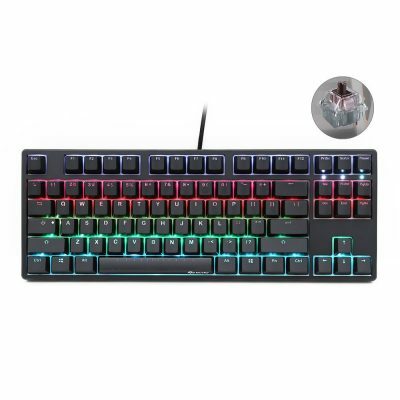 84-Key Gramr 10-keyless gaming keyboard from Drevo come in third on our list of the best tenkeyless mechanical keyboard due to its high-tech features that allow gamers to play with freedom and comfort. 84-key Gramr mechanical gaming keyboard features an ergonomic design, OEM keycap, and an adjustable stand giving you great gaming and typing experience. The keyboard features a compact design and simple style to fit in any desktop. First, DREVO Gramr applies 84-key layout allowing the gamers to play in comfort and more freedom. Also, the four different switches feel great and are ideal for distinct gaming styles. Second, the keyboard boasts a pure white backlit that help to brighten your desktop when gaming at night. The white LED to light up all the keys and give the users various lighting effects to choose from. Third, the keyboard has a 1.8m USB cable which is braided to suit your needs, and it’s more durable than the plastic cables. The gold-plated USB connectors strengthen the USB connection signal and enhance the USB connector anti-oxidation. DREVO Gramr features standard equipment that improves gaming skills making it perfect for pro gamers. With this keyboard you can also use spells more accurately and faster thanks to the N-key rollover. Blackwidow X Chroma from Razer is a tenkeyless mechanical keyboard that delivers both reliable durability and top-notch performance. Razer BlackWindow X Chroma comes in a compact and sleek design built with military grade metal making it rugged and durable. The sturdy construction ensures that the gamers enjoy top-notch performance even during the intense gaming sessions. Razer’s Green switches are responsive and fast making it perfect for gaming. The programmable backlit features 16.8 million colors to choose from. Razer green switches are almost identical with MX Cherry blues. BlackWindow X has an exposed back plate which is easy to dust and clean if need be. Most users like the BlackWindow X RBG lighting effect, hot clicky keys, and crisp keystrokes. Selected users didn’t like that the keyboard quirks when typing. Another user didn’t like that the keyboard doesn’t have a wrist pad and some keys feature small font. Far from a few downsides Razer keyboard is reasonably priced and comes with quality features that are great for the price. 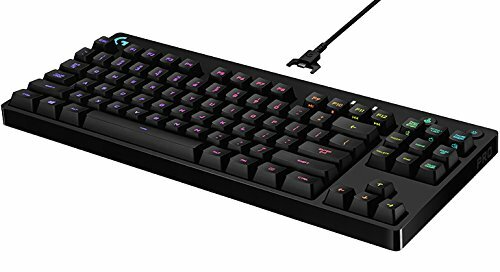 Why we like it: Logitech G Pro is a Pro gaming keyboard featuring headset and G Pro mouse making it a complete gaming setup for Pros. The keyboard delivers perfect lighting and excellent performance. Logitech G pro comes in a sleek and compact design making ultra-portable when traveling and you can use it on any desktop as it frees up space. The keyboard is built with sturdy and reliable material for durability. Logitech G pro performance, speed, and precision equal that of eSports athletes. Logitech G pro uses Romer G switches which deliver 25% faster actuation compared to other standard mechanical switches. Therefore, every key press is instant from your fingers to the screen. The tenkeyless keyboard comes with a detachable USB cable for secure connection with your devices and safe transportation when traveling. Furthermore, Logitech G pro features rubber feet and 3 step angle for easy adjustment adequate stability even during intense gaming. Velocifire tenkeyless is another mechanical gaming keyboard we like and recommend. 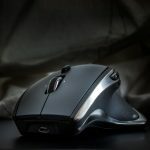 It is perfect for gamers, programmers, copywriters, and editors. Velocifire TKL01 perfectly fits anywhere as it features a compact design that saves space plus it’s easy to reach for the mouse with this keyboard. Velocifire TKL01 features low-noise Brown switches with tactile bump ideal for feedback with each key-press. The tactile feedback improves accuracy and typing speed of this mechanical keyboard. Velocifire TKL01 features sturdy keystroke making it more durable. Furthermore, you can enjoy safe data transmission thanks to the USB connector, 1.6m cable and magnet ring. The ABS keycaps of Velocifire TKL01 features a sturdy top-grade material with dust and waterproof effect. The keycaps are laser-engraved with double-shot injection meaning they can’t quickly fade. Velocifire TKL01 is compatible with Windows 7/8/10, Vista, 2000, XP and LINUX. It’s important to note mechanical keyboards are not completely quiet they produce some sound so before you purchase one know whether you can deal with the sound. 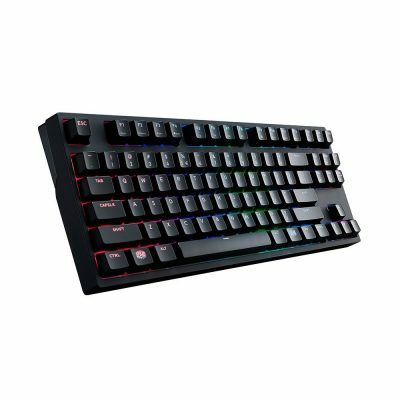 Eagle Z-77 wired mechanical keyboard is perfect for gamers as well as a person who want to improve aesthetics of the computer you're using. Mechanical Eagle Z-77 TKL features waterproof top-graded ABS material and metal with matte-finish making this keyboard sturdy and durable. The mechanical keyboard has laser engraving key and three drain holes. The stepped keycap makes this keyboard sleek, and the slope and arc easily fit your hands preventing them from fatigue. The TKL mechanical keyboard boasts replaceable DIY blue switches and comes with 5 PCS free switches for easy replacement. The custom mechanical switches are durable and built for responsiveness. The keys offer tactile feedback, medium resistance, and a click sound. 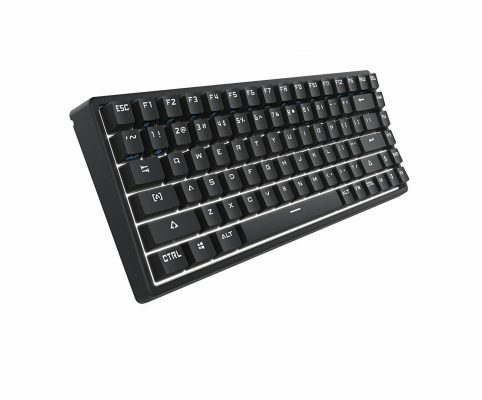 Furthermore, the mechanical Eagle Z-77 TKL features convenient FN+F1~F12 multi-media keys which deliver windows key lock for multimedia controls, gaming, calculator, and email. The 25 keys rollover works at high speed for faster response to ensure that anti-ghosting doesn’t occur. Some users reported that they don’t like hybrid cross/bracket design switch stems since you require exact diameter to fit in the keys. Vengeance K65 is a compact mechanical keyboard with full-sized keys and high-performance perfect for people with limited working space and traveling gamers. Compatible with Windows Vista, XP and 7/8. Vengeance K65 mechanical keyboard comes in a short-body design meaning it can fit into many working places, and also it’s easy to pack for gamers on the go. Vengeance K65 features Cherry MX Red key switches which offer even, a linear key response for faster double/triple taps with no audible click. The Vengeance K65 is a full-size keyboard with standard key spacing to ensure that when you type your fingers stretch comfortably to avoid fatigue. 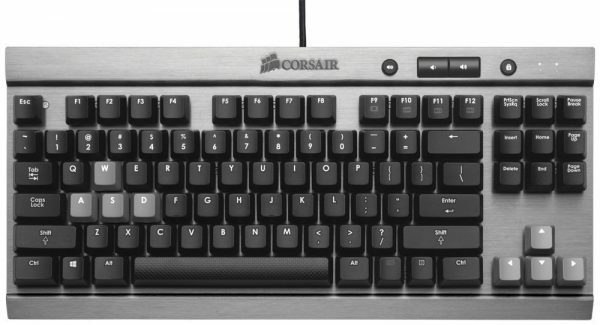 The CORSAIR keyboard is built out of gunmetal anodized aluminum making it rugged and durable hence perfect for long hours gaming. The full-key rollover on the USB ensures that anti-ghosting doesn’t occur even when you press multiple keys at once. The detachable USB cable is smooth to stow and durable for secure connection with other devices. Ducky One TKL mechanical keyboard features a simple, modern, and narrow bezel design. The keyboard features a dual layer PCB design which is more durable and reliable for the signal stability of your keyboard than the single sided PCB. The double layer PCBs plus a steel backplate makes this keyboard stable to handle each keystroke. Ducky One tenkeyless mechanical keyboard features double-shot PBT keycaps which have transparent legends. 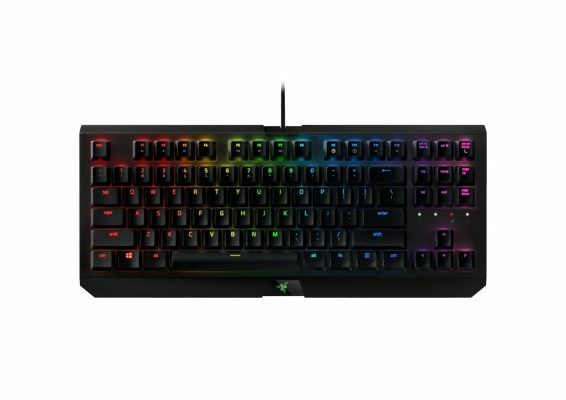 The keyboard features a combination of keys FN+F5-F10 to control the RBG and select backlighting hues, dynamic modes, and highlighting WASD for the gamers. The N-key rollover USB can handle simultaneous key press without any keys blocking or ghosting occurring. Ducky One tenkeyless is compatible with Mac, Windows 7/8/10, and the latest X High Sierra OS. Alloy FPS Pro from HyperX sums up our list of the best tenkeyless mechanical keyboards. The hyper tenkeyless keyboard is ultra-compact and made for FPS masters. 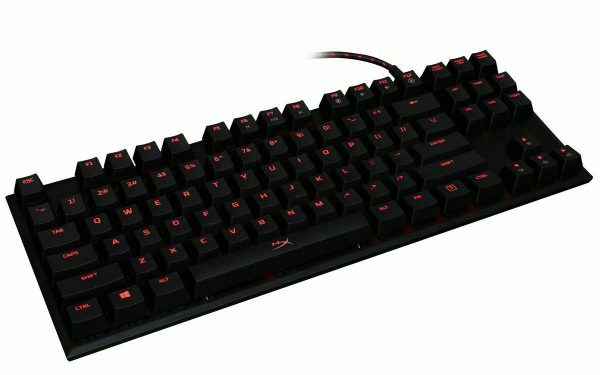 HyperX Alloy FPS Pro is mechanical keyboards designed for FPS gamers who value accurate and reliable tenkeyless keyboards that help maximize the desktop space. The HyperX mechanical keyboard features a sturdy metal alloy which makes the top plate to offer a stable platform when playing. The HyperX is portable with detachable USB cable for easy transportation and safe packing. 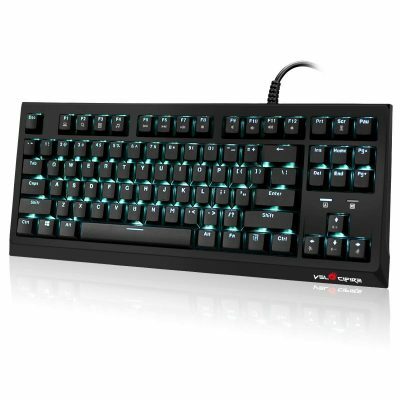 The mechanical keyboard features CHERRY MX key switches for precision contact and unmatched reliability. Better still, the FPS Pro doesn’t feature number pad hence it creates more space on your desktop for smooth mouse movement making it an ideal keyboard for the FPS players who want to take their gaming skills to pro levels. 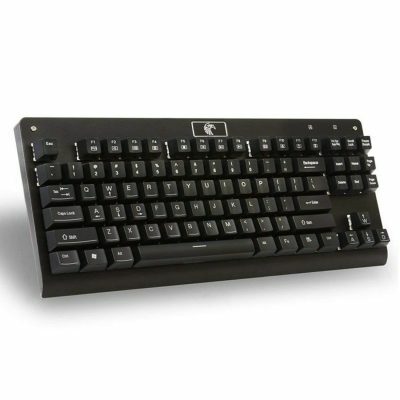 Tenkeyless keyboards are compact and easy to use. Without the number pad, you get more advantages like more space on your desktop, enough room for your mouse plus a lightweight keyboard for portability, safe and secure packing. Size matters when it comes to a keyboard, but then again it will depend with that you want to use the keyboard for. Tenkeyless is a perfect mechanical keyboard for everyone as it features functionality of the full-size keyboard, but if you need dedicated multimedia keys, tenkeyless doesn’t offer that. 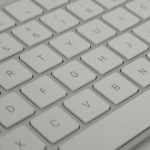 Ready to purchase that desired keyboard? We have a keyboard for everyone on our list of the best tenkeyless mechanical keyboards. Nice roundup of TKL keyboards. I have HyperX Alloy FPS Pro and i think it is s great compact keyboard with strong build quality and performance.